May 13, 2017 was a milestone for Ukrainian amateur rocketry, as the student team from Noosphere Engineering School landed in Washington D.C. and took part in The Team America Rocketry Challenge 2017 (TARC). Ukrainian rocketeers had never participated in such a large amateur rocketry challenge before. 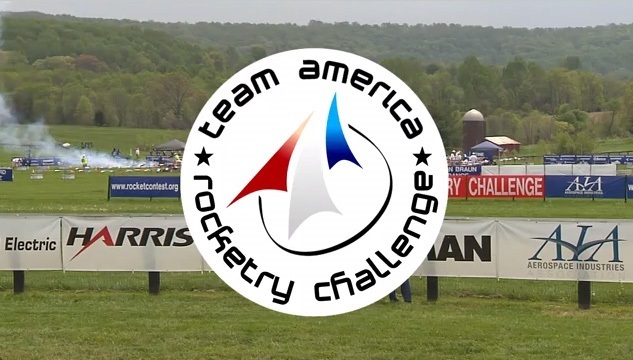 TARC is the world’s largest student rocketry contest. It requires students to design, build and launch rockets which can safely carry a raw egg to a specified altitude and back within a certain amount of time. The contest format and rules change from year to year to foster student ingenuity and keep rocket designs fresh each year. TARC is a major initiative of US aerospace and defense industry policy that aims to build a strong interest in science, technology, engineering and mathematics (STEM) among US teenagers. Supported by the Aerospace Industries Association (AIA) and the National Association of Rocketry (NAR), TARC evolved from a one-time event in 2002 into an annual rocketry contest with more than thousands students from all across the US to compete each year. This year 812 teams participated in TARC 2017, with 101 teams who made it to the TARC National Finals in The Plains, VA. In total, more than 5 000 students were involved in this celebration of rocketry and engineering, not least of which was the team from Noosphere Engineering School, founded by Max Polyakov. The top 10 teams split a $100,000 reward of cash and scholarships, while the overall winner received a direct invitation to Europe to represent the US in the International Rocketry Challenge at the Paris Air Show in June. The trip to the US and participation in TARC 2017 was made possible for our team through support from Noosphere, founded by Max Polyakov, and by friends and fellow rocketeers that the team met at the FAI World Championships for Space Models held in Lviv in 2016. Despite TARC being a US National contest exclusively for US students, our team from Noosphere Engineering School was invited as a special non-competing guest team, even though they were allowed to launch their rockets and have their launches officially scored. By all accounts, our team of Valerii Bidovskyi, Bohdan Kovalov, Oleksandr Radchenko, Vladyslav Zhuravlov and their coach, Denys Khmil, were competitive at the challenge. The team would have been considered as a serious contender to the US teams if it had been involved in the actual competition. Moreover, our team would have won first place for one of the supplementary competitions – the Plane Building contest. Each team had 30 minutes to build a glider with just balsa wood and a few provided components. Once done, the teams flew their gliders in a distance competition. The Noosphere team scored the best flight by gliding 57 feet and 10 inches (17.6 meters), which was 12 feet (3.6 meters) farther than the nearest US rival. Even though there was no chance to compete for the top prizes, it was a big step forward for Noosphere Engineering School and Ukrainian rocketry. First and foremost, it was the perfect opportunity for Ukrainian rocketeers to pit their skills abroad. In addition, taking part in TARC was the ideal way for Ukraine to earn an invitation to the Paris Air Show. Most of all, making new friends around the world, and the organizational insight gained right on the field will be invaluable for Noosphere Engineering School when they arrange rocketry events like TARC in Ukraine in the future.